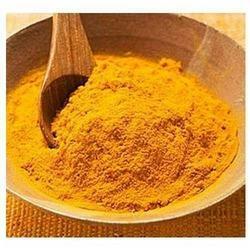 Prominent & Leading Manufacturer from Agra, we offer curcumin extract. Curcumin herb (turmeric extract/oleoresin), obtained by solvent extraction of the ground spice, contains colouring matter, volatile-oil, fatty oil and bitter principles. It is orange-red in colour and consists of an upper oily layer and a lower crystalline layer. It is a tall herb with large root stocks and consists of rhizomes which are ovate, oblong or phyriforam. It is grown in many parts of india as commercial crop. It is household spice for divirse cuisines in all parts of india. Turmeric powder is considered auspicious in many religious ceremonies in hindu families. Turmeric is often used in beauty creams for its antibiotic properties. It is also very commonly used as household remedy for minor cuts and wounds. The yellow pigmented fraction curcumin is isolated from the rhizomes of curcuma longa rhizomes are also used for diverse medicinal/food purposes. Turmeric is closely related to ginger, and the methods by which ginger oleoresin is obtained may be applied to turmeric, the curcumin and the volatile-oil being both extracted by the same volatile-solvent.